The Griot's Garage Boss Backing Plate is the perfect replacement backing plate for your Griot's Garage THE BOSS Polisher! 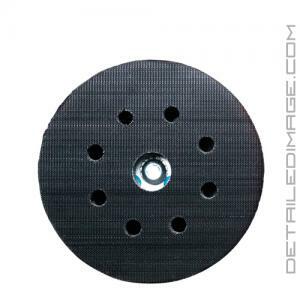 This backing plate is designed specifically for this polisher for best results. It holds the pads nice and tight while dissipating heat well so it lasts a long time. We recommend keeping at least one extra backing plate on hand so you have a replacement ready if needed. Each backing plate size (5" and 6") work great with both Griot's THE BOSS G15 and G21. Check out the various sizes of this backing plate offered and the pad recommendations for each size below! If you are looking for the perfect backing plate for THE BOSS look no further than the Griot's Garage BOSS Backing Plate!